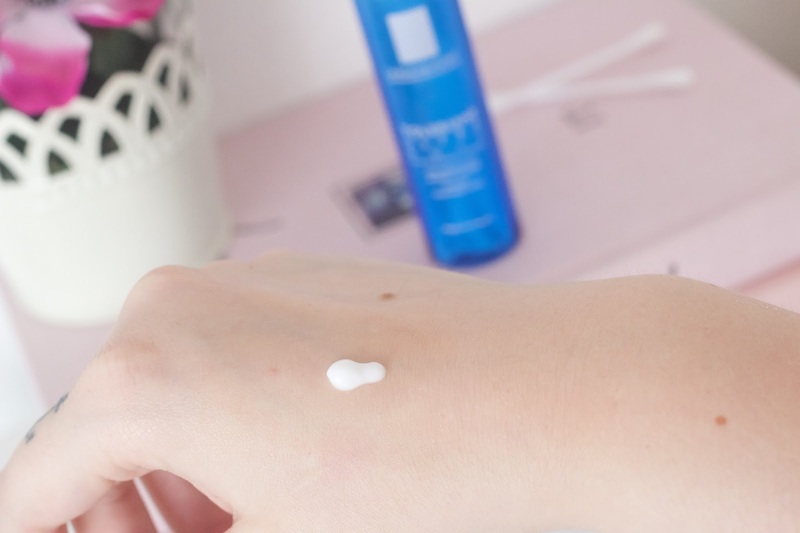 Back in July when I posted a first impressions post on the recent additions to my ever-growing skincare collection I spoke a bit about how much I was loving the La Roche-Posay Toleraine Ultra Nuit. I promised a full review after I’d tried it some more so here we are with a whole post dedicated to this little skincare gem, and let’s just say it’s impressed me more than I thought it ever could. 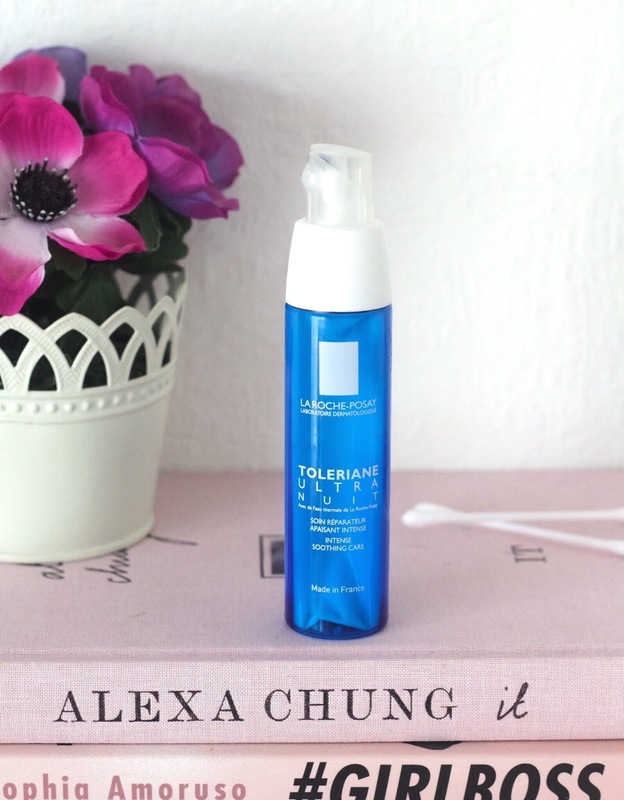 LRP Toleraine Ultra Nuit is both a treatment and moisturiser in one aimed at those of us with sensitive skin, so the minute I read that my eyes lit up as my skins so sensitive and tends to react to many skincare products. The other thing that really sold this to me was all the pretty big miracles this claims to make overnight, from soothing and hydrating, reducing the appearance of redness and tightness to giving your skin everything it needs to repair itself overnight leaving skin looking rested and smooth by the morning. At first I really didn’t believe it could have that much of an effect on my skin but I’ve been so surprised. I’ve been using this for about 6 weeks now and I can honestly say I’ve seen some serious visible improvements over that time. I have sensitive combination skin that’s prone to the occasional breakout, and I have a lot of redness and scarring left behind from having acne as a teenager so I thought this would be well suited for my skin. Ultra Nuit is free from ingredients that can cause irritation to the skin such as fragrance, alcohol, parabens and colourants. They’ve kept the ingredients that are in it to a minimum to avoid irritating the skin. It hasn’t irritated my skin in the slightest, nor has it blocked my pores or caused my skin to break out – praise the lord. Since adding this to my routine the thing that I’ve noticed changed the most is the texture of my skin, it’s never felt as soft and smooth as it does since adding this to my skincare routine. As well as giving me soft skin, I have noticed my skin isn’t as red, dry or as dull as it was before this so it does live up to the claims it makes. It adds the perfect boost of hydration without being too much for my oilier areas and in the morning my skin looks healthy with a subtle glow to it. I honestly never thought I’d have seen such big changes to my skin from just one product, this fits perfectly into my routine and paired with all my other skincare products I can honestly say my skins never looked this good! Have you tried this? If not, what are some of your skincare staples?